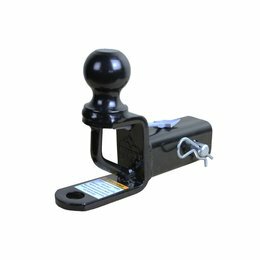 The ATV Tek Trio HD Multi-Purpose hitch's patent pending C-channel design and high grade steel guarantees maximum strength and durability, while ensuring zero interference with all trailer couplers. 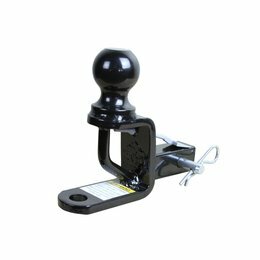 The ATV Tek Trio HD 1.25" hitch's patent pending C-channel design and high grade steel guarantees maximum strength and durability, while ensuring zero interference with all trailer couplers. 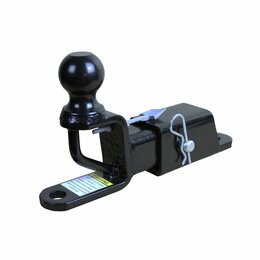 The ATV Tek Trio HD Receiver hitch's patent pending C-channel design and high grade steel guarantees maximum strength and durability, while ensuring zero interference with all trailer couplers. 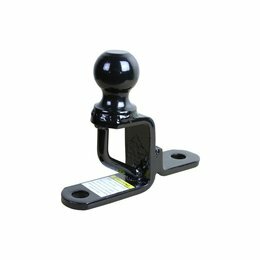 The ATV Tek Trio HD 2" hitch's patent pending C-channel design and high grade steel guarantees maximum strength and durability, while ensuring zero interference with all trailer couplers. 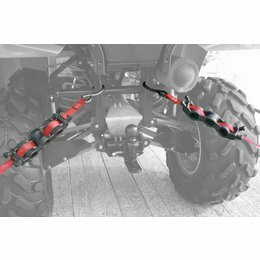 The ATV Tek Shockweave zero slack technology provides 135 pounds of dynamic tension and shock absorption, ensuring that your tie-downs remain tight and your machines make it to your destination. Just weave any of your tie-downs through the Shockweave and you're ready to go.